We are two crazy in love, good food cooking, old house remodeling, learning to homestead, all while chasing our (soon to be 2) little boys. We are book reading, beer brewing, Subaru driving folks who live halfway around the world from their family in the middle of nowhere trying to learn how to do this thing called life. Our house is always a bit crazy but the table's always open! 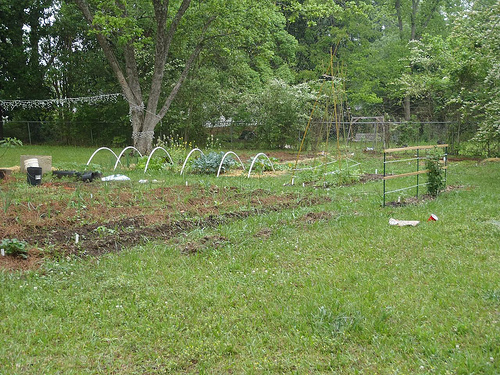 How long have you been backyard farming? I (Dani) was raised on what you would consider a backyard farm....while we didn't have a garden we raised lots of animals while I was growing up and my father was an avid hunter. I hadn't ever eaten store bought beef at home until I moved out of the house. 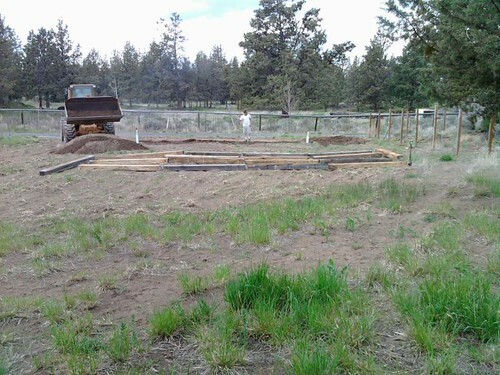 We started backyard farming in summer of 2010 back in Oregon. We were living on a communal property with my parents and siblings at the time (with all the animals) and put in a huge garden. It was a lot of work and while we had some success it was a lot of work with the super short season we had there (6 weeks frost free!). Once we moved to Georgia and got settled into our new house in 2011 we spent that year trying to get the backyard usable and somewhat tick and chigger free. 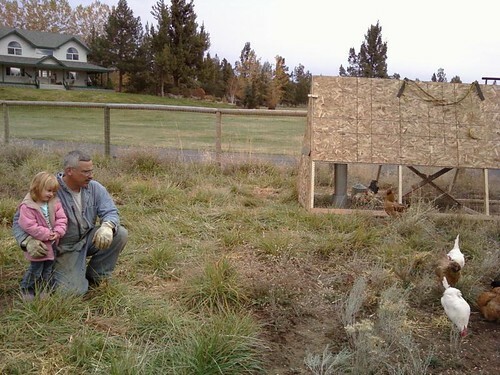 2012 was our biggest homesteading year by far and we had lots of success and failures.We are very much looking forward to what this year will bring. We love food! We are total foodies and yet as a young family our budget is not huge for groceries. We started watching documentaries on our current food systems and began to have more and more interest in the farming lifestyle. We currently rent a home with between a half acre to an acre of land. We are in middle Georgia in zone 7 currently which gives us an amazingly long growing season. 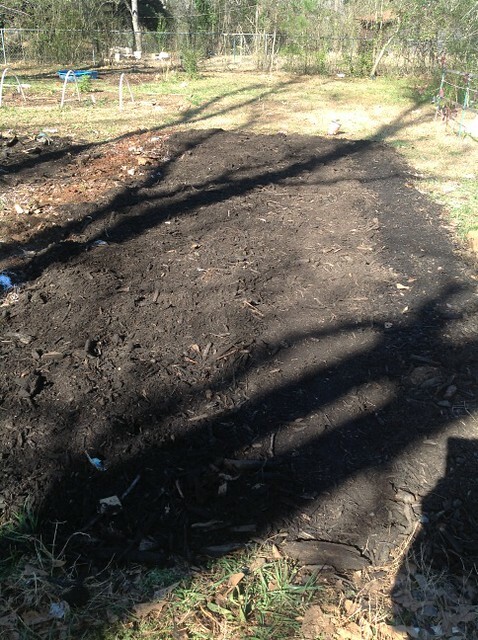 We are currently converting our garden beds to the Back to Eden methods which is a wood chip growing system. We currently have 5 Welsh Harlequin ducks for eggs, meat rabbits and are trying our hand at our first batch of meat chickens. 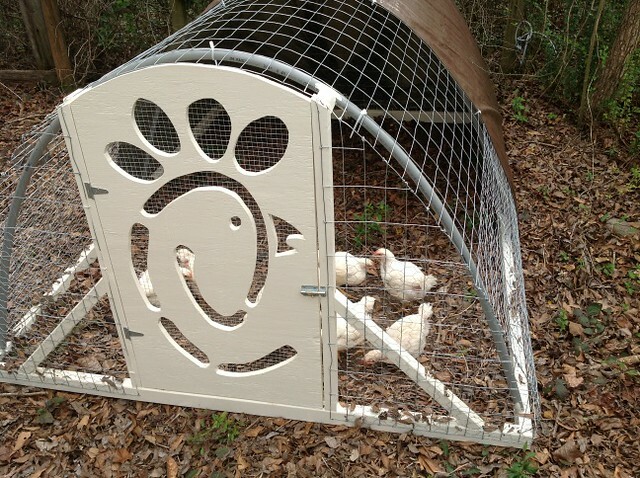 All the animals have large moveable pens that Kevin built. 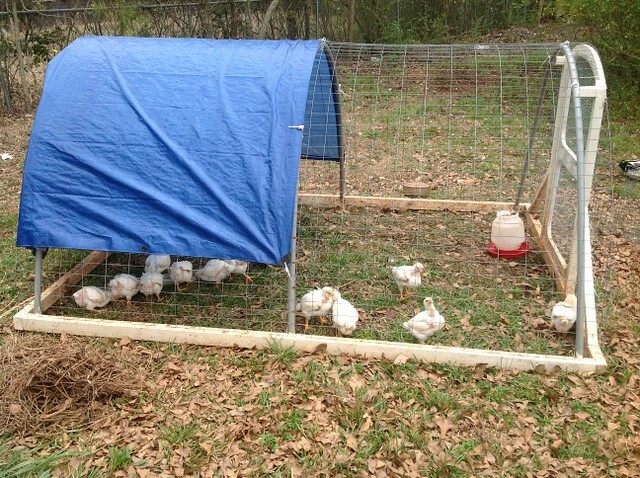 This is actually the duck pen but the chicks were hanging out in it for the day while there's was being built. We tried moving them all in the rotational manner but after a season of that have given the animals pretty dedicated areas for the most part because they destroy the grass even with consistent moving of the pens. Our biggest success has been the ducks easily. They are so fun to watch and are great free rangers. Our backyard is completely fenced and they never try to escape unless we leave a gate open. The amount of bug control that they provide here is truly amazing! Now that we are getting eggs every day too it's definitely one of our favorite things about the little farm. Salad greens, herbs, radishes, beans, peas, kale, collards, peppers and tomatoes have all done really well for us in the garden. Squash was easily the best plant we grew in Oregon but failed miserably for us last year here in Georgia. It's hard to say what the biggest mistake has been...we've made so many! 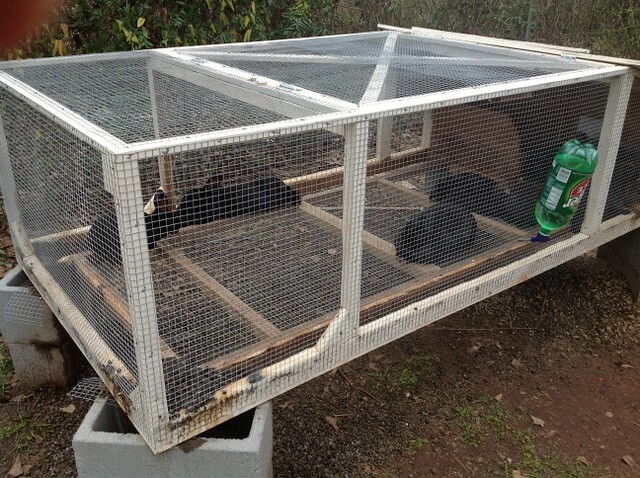 We lost several rabbits last summer to a few different circumstances and some chickens this year to a predator. In both situations some of the losses were due to them being in temporary pens and not having their secure pens finished in time for them. We also got introduced to the Squash Vine Borer and powdery mildew which took a huge toll in our garden. You really have to be on top of getting your plants in the ground early here in the south and protecting them from the bugs if you want a harvest. We are installing a drip tape watering system this year too in order to cut down on the powdery mildew as much as possible and because summers in Georgia are way too ridiculously hot and humid for hand watering. 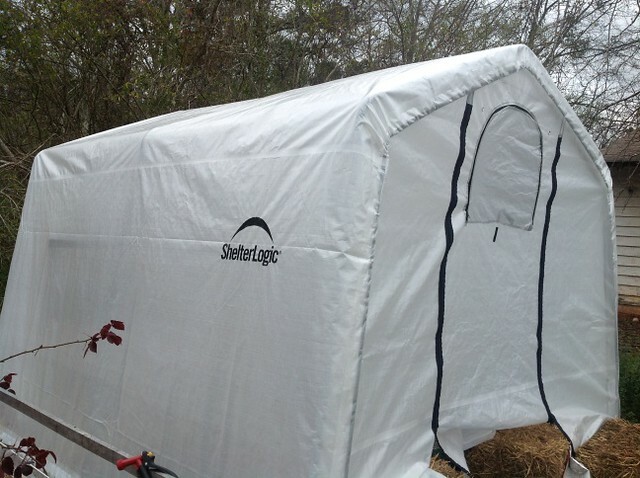 We have our homesteading goals for this year written out here, and long term.....who knows? We really love the west coast and miss our families back there so we would be excited if an opportunity opened up there for us to have a homestead. We are trying our hands at beekeeping this year and are (at least in our minds) super interested in doing that on a larger scale. We also love teaching others so will most likely expand that area of our lives down the road too with the blog and books. Thanks for featuring us Gretchen!! We love your site! What a great little homestead! Wishing them all but only the best success! Howdy! Welcome to Georgia! I was born and raised in Northeast Ga. Are we technically "neighbors"? :) I enjoyed reading about your adventures on your farm. 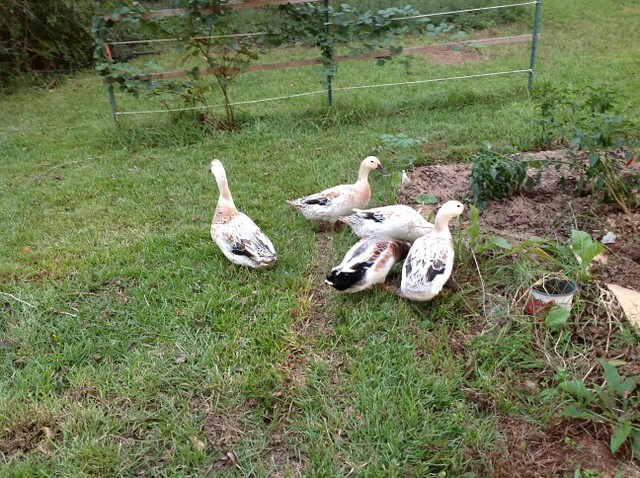 We have bees, ducks, chickens, geese, guineas, rabbits and dogs. And yep...a garden that can be pretty tricky to tend. But it is SO AWESOME!! Good luck and I will be checking in on you to catch up. Wishing you much success.